Do you like the shelter in your home? Natural shade from lush trees is the best choice. Don’t worry, you can plant fast-growing trees. 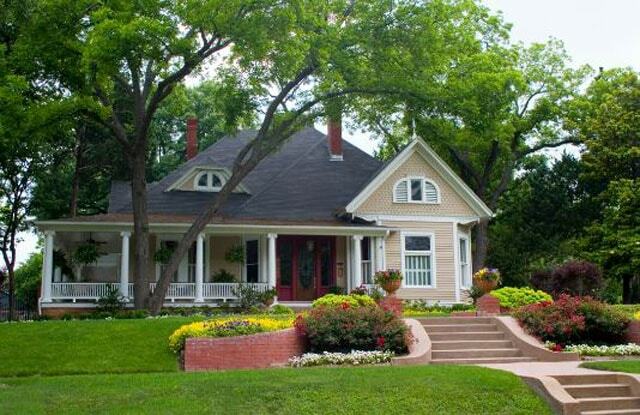 I will share with you some types of fast growing trees that can shade your house or as a shelter on the home page. There are many types of trees that are fast growing, but you have to be careful about choosing trees because usually fast-growing trees will die quickly and not live long. We will provide fast growing trees and can live for a long time. Here are some trees that grow fast and last a long time and have strong branches. Zelkova serrate, this tree grows in zone 5 to 8, its size can reach 50 to 60 feet. The shady shape reminds us of the elm tree. But this is different, the yellow and orange leaves give a stunningly beautiful feel. Its gray and smooth skin is characteristic of this tree. Zelkova trees can adapt to many areas and are resistant to wind exposure and resistance to drought. Zelkova belongs to the elm family and she is resistant to Dutch elm. Magnolia grows in zones 5 to 9, Size: 10 to 20 feet in the north and 60 feet in the south. There is something unique from this fast-growing tree. The flowers when they bloom will smell like lemon but this is not actually lemon. The leaves are green and shady provide beauty in your garden or in front of your yard. Pay attention when the tree is blown by the wind, an enchanting beauty stretches in the eyes. Take good care so that growth is good. Why do I like this tree, besides being shady and protecting, Magnolia is also tolerant of wet and wet places compared to other types of magnolia. This is one type of pine that many planters hunt. White pane or strobus like zone 3 to 7, the size can reach 50 to 80 feet. Growing like a pyramid certainly gives a beautiful and stunning impression on your yard. Some planters make this pine as a hedgerow that is cut in such a way. But some others just let it live freely. Avoid strong winds, shady leaves will be blown hard by the wind and make the tree tilt. Also, avoid air pollution and salt to prolong life. Why do I like it: White pine is suitable for any landscape, some are dwarfed and can be made for bonsai plants. Furthermore, fast growing trees are Crepe Myrtle. The tree, also called “Lagerstroemia indica”, likes zone 7 to 9, it grows to a height of 25 feet. One of the reasons crepe trees are well planted in the yard is because they are shady and have red flowers that can decorate your landscape. Colorful flowers like thick red, white, purple, and pink are perfect for beauty. Myrtle crepe is a fast growing tree providing shade and decorating the landscape in your home. Another name for this tree is “Larix decidua”, it grows in zone 2 to 4, it can reach 50 feet or more. The leaves are green, but in autumn the leaves turn golden yellow. Don’t be surprised if you see a yellow mountain peak like gold, this is the fall of autumn. The fallen leaves will be replaced again with new leaves in the spring. Japanese and European Larches have differences in terms of growth. If you plant both of them, you can enjoy step by step growth. Red maples include fast growing trees. Trees with another name “Acer Rubrum” grow in zones 3 to 9, their size can reach 40 to 60 feet. For lovers of Japanese plants, you are no stranger to maple. The red leaves will decorate your landscape in autumn. If you want to choose maple, read our article about How to Prune a Japanese Maple. Also, read about Black Spot on Maple Leaves. Another name is Betula nigra, living in zones 3 to 9, this plant can grow up to 40 or 70 feet. River birch has a unique, smooth trunk and peeling skin gives its own feel. This tree can live on wet or dry soil. In addition, Birch trees are also resistant to diseases called bronze birch borer. For this tree to live longer, then plant it in acidic soil. One of the hallmarks of River Birch trees is easy maintenance. In addition, this tree is not too high so it is suitable for small landscapes. It only grows with a height of 10 to 12 feet. Japanese Pagoda Tree is a fast growing tree that lives in zones 4 to 7. The size can reach 50 feet. This pagoda tree is called the scholar tree, one of the trees that has beauty when the flowers bloom. The combination of green leaves with white flowers blooms presents an extraordinary view of its own. This really produces a beautiful landscape. You can play under it in the daytime by enjoying the cool breeze. One of the reasons to like this tree is it provides interesting views in the afternoon or at night.